For those who harbor fantasies of escaping to a far-flung desert island, you might want to think again. "A remote island makes a natural prison: surrounded by the monotonous, insurmountable walls of a persistent, ever-present sea," writes Judith Schalansky, a German novelist and graphic designer, in this gorgeous book that combines lyrical storytelling and whimsical mapmaking. "Peaceful living is the exception rather than the rule on a small piece of land." 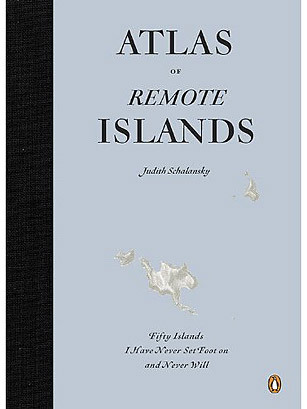 In Atlas of Remote Islands: Fifty Islands I Have Never Set Foot On And Never Will, Schalansky spins tales of murder, revolution, and cannibalism  as well as the geological violence that often characterizes isolated pieces of rock in the middle of the ocean  with macabre glee. Yet, her book, translated from the German by Christine Lo, is also an argument for the narrative capability of atlases. As Schalansky puts it, "There is no more poetic book in the world."